As part of what will hopefully become a regular segment on the podcast we asked for our listeners/followers to suggest via facebook an illustration for Jay and me to do. We narrowed it down to a choice between Slaine, Wolverine or Marv from Sin City. 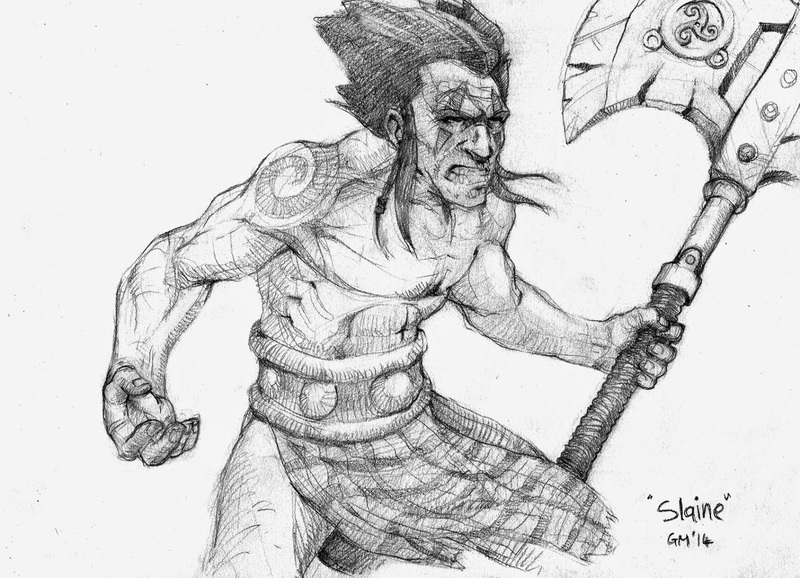 The unanimous decision was for us to do a picture of Slaine the character from 2000AD. I had a particularly tough time with this, I intended to try painting my version and the combination of inexperience and trepidation about using paint had a negative impact on the initial drawing. I fell back into a lot of old bad habits and was not terribly happy with the result, the pose was stiff and the anatomy overworked in some areas while unclear in others. I did attempt to paint it but have decided not to post this as it was not great. 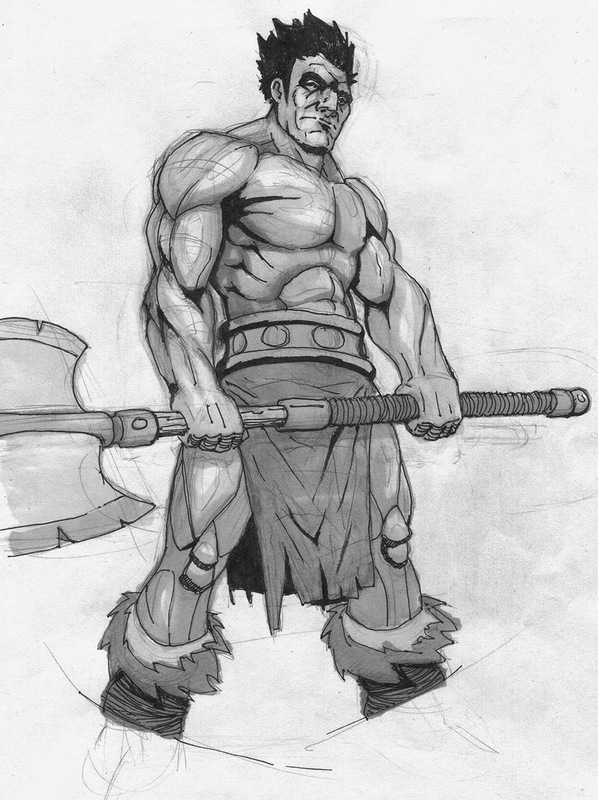 In an effort to salvage the whole project I did a new illustration, just a sketch this time. The main thing I have taken from this is that I still have a heck of a lot to learn, particularly when it comes to painting. I will continue to work towards learning to paint, while this project was overambitious for my current skill level I am trying to use it as motivation to work harder. hopefully I will get my painting to a level that I would be happy to share with everyone. I have posted below the initial sketch before I painted over it and the redraw that I did afterwards. I know which one I prefer. This was both frustrating and rewarding and I know I am looking forward to the next one of these. We will be posting the next shortlist for things for us to draw on the facebook page soon.